Marriage has not changed Han and Leia much - they still bicker and banter with each other, but now they have something new to disagree on: whether to have children. Marriage has not changed Han and Leia much - they still bicker and banter with each other, but now they have something new to disagree on: whether to have children. Han wouldn't mind being a father, but Leia is terrified that whatever turned her own father into Darth Vader might be genetic, and she can't risk giving birth to a monster. I n an attempt to put the past to rest, the newlywed couple go to Tatooine, where they speak with the people who knew Leia's grandmother, Shmi Skywalker. And Leia gets a gift: Shmi's diary, in which she recorded all her hopes and dreams for her beloved son, Anakin. 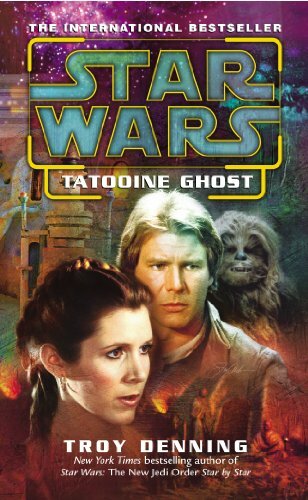 While Han and Leia get caught up in an ever-escalating adventure on Tatooine, Leia reads her grandmother's diary and learns something of her heritage, something that will change her forever.